Anxiety. Stress. Bullying. Suicide. Violent protests. Shootings. Fake news. The world that students are grappling with is both scary and challenging. To help students navigate young adulthood and make sense of the headlines and what they see and hear around them, school leaders everywhere are integrating lessons on empathy into the school experience, either in the classroom or beyond it. For the past five years, Greenwich Public Schools in Connecticut has used the Second Step program in its middle schools, providing a curriculum of web-based lessons about respect, empathy, and tolerance. They dedicate full mornings to activities promoting social-emotional learning (SEL), and school leaders are seeing positive results. “We are seeing an increase in kids knowing they have adults to go to, feeling welcome in the building; they feel honored. They feel more comfortable with who they are, which is so important in middle school,” Suzanne Coyne, assistant principal at Western Middle, told Greenwich Time. Connecticut isn’t the only state where education leaders are embracing empathy in their schools. Maryland’s Arundel High School introduced a semester-long course called Community Citizenship. It’s a required class for freshmen and covers topics such as building community and fostering citizenship. And Howard County Public Schools is developing an elective class for high schoolers that covers civil discourse and ethics. Want more on social-emotional learning? Sign up for the TrustED newsletter. Robert Cowles, a history teacher in Clark County School District’s Rancho High School, told the Las Vegas Review-Journal that since the Oct. 1 mass shooting at the Route 91 Harvest country music festival he has dedicated a good portion of class time to providing a safe space for students to ask questions and share their thoughts. Some students had come across online content about the shooting, including rumors and videos, that led to meaningful and relevant classroom discussions. With the violent protests in Charlottesville, Va., occurring just before the school year started, teachers in Charlottesville City Schools knew their students would need help to make sense of what happened. Questions arose across the nation about how to address the protests in academic settings, reigniting a conversation among educators about their responsibility to present—and help students make sense of—the facts. “I think what we have to do is help [students] come to good conclusions using good information, good news and certainly bringing a historical perspective to bear on it as well,” Zach Bullock, chairman of the history and social sciences department at Charlottesville High School, told U.S. News and World Report. Out of the events in Charlottesville came the hashtag #CharlottesvilleCurriculum, which is a way for educators to share resources to help bring this teachable moment into their classrooms. 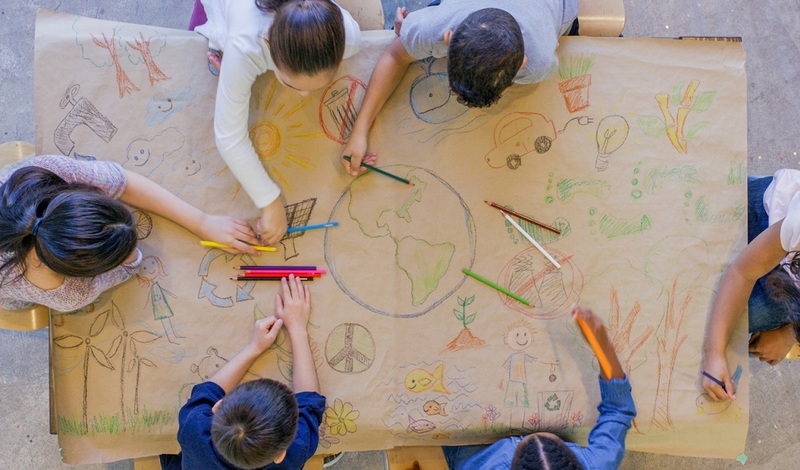 Other programs, such as A Mile in Our Shoes from Newsela and Teaching Tolerance, offer additional classroom resources to make empathy a standard part of classroom instruction. While the lasting impact of these efforts is difficult to measure, teaching empathy in schools is gaining momentum because it offers students a solid foundation in an ever-changing world. What steps are you taking to engage students in conversations around empathy? Do you include empathy in your classrooms? Do students have a way to reach you if they have questions about what they are seeing and hearing? Tell us in the comments.